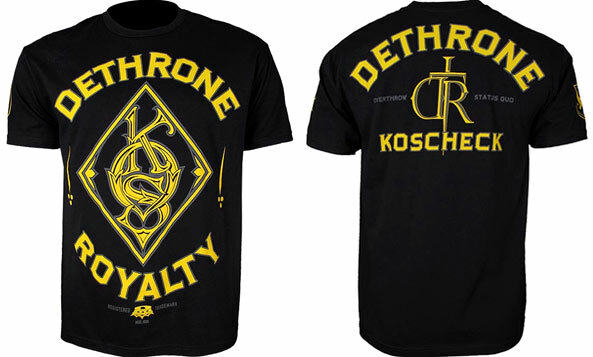 GSP vs. Koscheck is finally happening December 11th, and here’s the Dethrone Josh Koscheck UFC 124 Walkout T-Shirt! After the Ultimate Fighter 12 is all said and done, there’s nothing left but the showdown between Georges St-Pierre and Josh Koscheck. Love him or hate him, here’s the Dethrone Josh Koscheck UFC 124 Walkout T-Shirt!